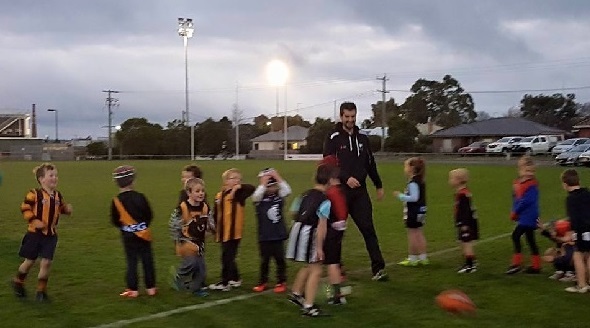 The NAB AFL Auskick program provides boys and girls with a fun and safe Australian Football experience that serves as an introduction to a lifetime of involvement in the game. The program is not just about introducing children to Australian Football – it activates and develops within each child the desire for a healthy lifestyle and an association with our great game. This is achieved through activities and programs for individuals, small groups and teams, and aims to assist development of personal and social skills. Auskick is on Friday nights at the North Number 2 oval from 5.30 - 6.30pm. Registration will be online at aflauskick.com.au and participants generally receive a participation pack and certificate at the end of the program. This year the program will run throughout second term.